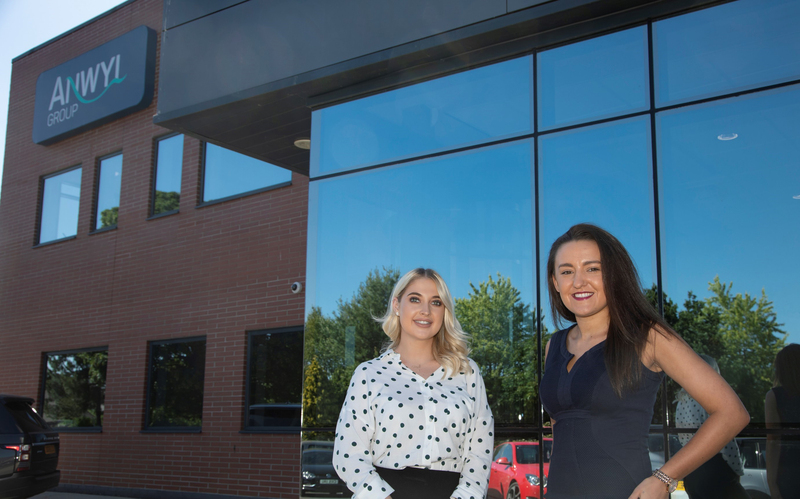 Flintshire-based Anwyl Homes has extended its marketing team with the appointment of two new recruits. Alice Edwards from Hawarden and Phoebe Davies from Mold join the fast-growing housebuilder to help plan, coordinate and execute marketing activity across the company’s ever expanding geographical area of development; with Alice taking responsibility for the Cheshire region, and Phoebe looking after North Wales and the recently established Lancashire division. Based at the company head office in Ewloe in North Wales, both are tasked with promoting and highlighting the company’s portfolio of developments to homebuyers through carefully planned marketing and communications campaigns and ensuring that marketing materials and communication channels, including social media feeds and the website, are up-to-date and populated with good quality content. Both are ambitious and are looking forward to developing their careers with Anwyl; a company they were attracted to join due to its enviable reputation for quality, customer care and an engaging working environment that values the contribution of every employee. Prior to joining Anwyl, Alice worked for Denbighshire County Council where she was responsible for digital marketing for the housing, leisure and youth services. She managed three websites, and their associated social media platforms, creating content to engage and interest the community, and sat on the steering group for new attractions across Denbighshire, providing input into the marketing and branding strategy. She also worked for moneysupermarket.com, looking after social media content creation and management. Phoebe brings with her a wealth of experience having spent the last four years working in similar roles for other housebuilders. She had the opportunity to work across a number of departments, including technical, commercial and customer care, but her passion lies in marketing and she is looking forward to specialising in this area. Age 24, Alice has a BA Hons in Marketing Management and is working towards Level 6 of her Chartered Institute of Marketing (CIM) diploma. When not working, she enjoys catching up with friends and long walks with her dog. Phoebe is 23 and currently working towards Level 4 of her CIM. A fluent Welsh speaker, she attended the Welsh school in Mold and is passionate about football, playing three times a week for the New Saints Ladies in Oswestry and competing in the National League Midlands Division One. From beautiful new residential developments to award winning major mixed use commercial schemes, Anwyl is growing quickly and has ambitious plans for the future. For further information, please visit www.anwylgroup.co.uk or www.anwylhomes.co.uk.